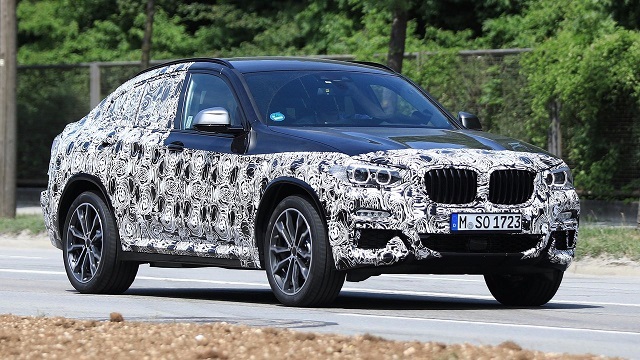 Yes, the SUV you are looking at is another testing model for BMW’s all-new X4. More precisely, it’s the 2019 BMW X4 M40i. We know that this is a high-performance version due to a number of exterior details, which set apart this particular prototype of the earlier one. If you look closer, you will realize that the spotted SUV sports an enlarged front bumper with larger air intakes. Plus, the M Performance model comes closer to the ground and sports quite chunky side sills. Around back, the 2019 BMW X4 M40i features special exhaust tips, much larger from the normal. However, the production-ready version will definitely get quad exhaust layout. The prototype also gives away its high-performance nature with bigger wheels that sport blue brake calipers. The 2019 BMW X4 M40i won’t be just some fancy-schmancy SUV with the new styling, but also a high-riding vehicle with a mighty engine. Today’s model uses a 3.0-liter turbocharged inline-6 capable of delivering 355 horsepower and 343 pound-feet of torque. The new generation model will host a 3.0-liter twin turbocharged unit with a staggering output of around 450 horsepower. 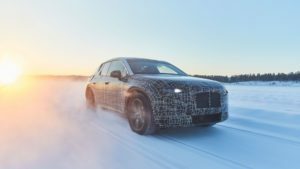 The mighty mill will use an all-wheel drive which will get the power via an eight-speed automatic transmission. Aside it’s getting the new twin-turbo, the future X4 M40i will also ride on a new platform. It’s so-called CLAR architecture that includes plenty of lightweight materials and the ability to accommodate various types of engines. Of course, the M Performance model gets some additional kit such as sport-tuned steering and sport suspension with adaptive dampers. 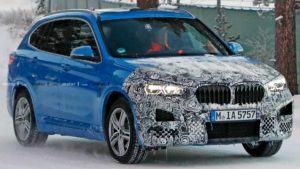 The redesigned 2019 BMW X4 M40i will be introduced sometime next year.